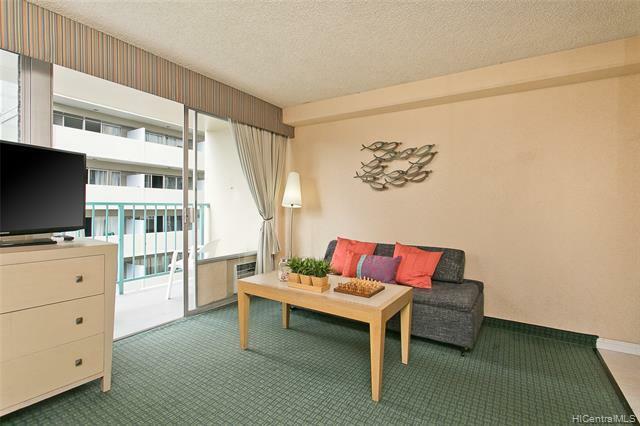 Larger, upgraded, furn'd studio w/kitchenette and open lanai in a charming condotel in the heart of Waikiki! 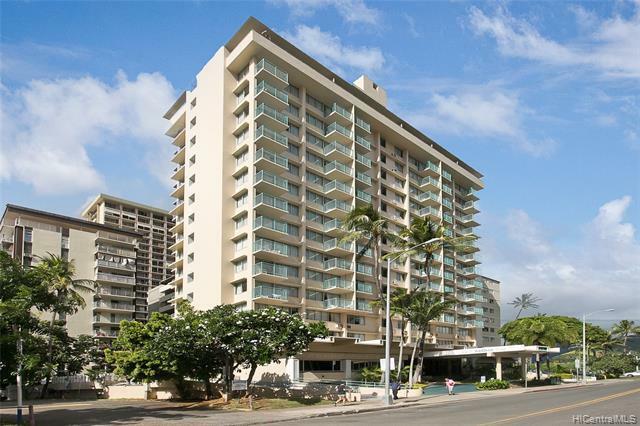 Close to Waikiki Beach, Int'l Market Place, Food Pantry, Duke's Lane, more shops & restaurants, buslines, golf course and all the exciting attractions. 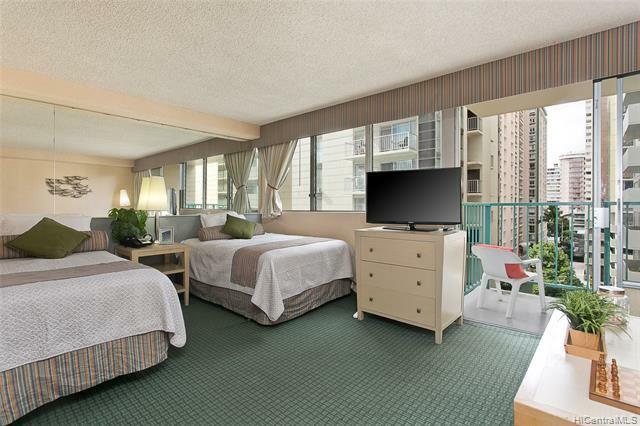 Comes w/large flat screen TV, 1 full size & 1 twin bed and 1 full size sofa bed & more. #05 is on a quiet side and has a good view orientation on Ewa side. 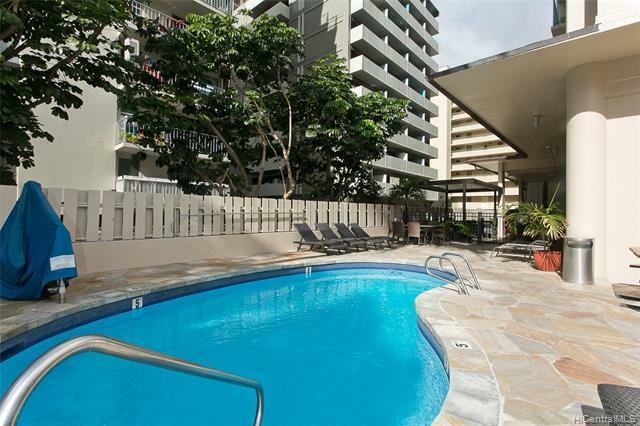 Great amenities includes pool, BBQ, fitness area, spacious patio, large lounge area, restaurants, nail/massage salon, comm. laundry and convenient public pkg in basement($28/day). Maint.Fee includes basic TV cable, internet, elect., hot & cold water, sewer.